“Cybersecurity, Privacy, and the Constitution” will be the topic of a free talk at 1 p.m. September 17 at The College of Saint Rose. 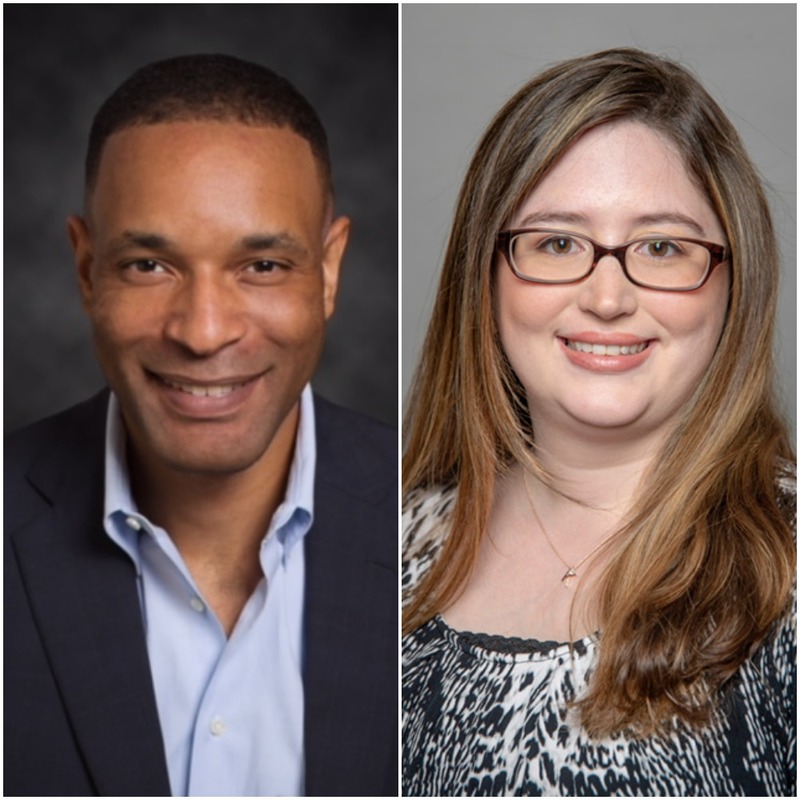 The conversation, with Kimberly Cornell, assistant professor of computer science at Saint Rose, and Antony Haynes, associate dean for strategic initiatives and information systems and director of the Cybersecurity & Privacy Law Program and Center at Albany Law School, will mark Constitution Day. Constitution Day commemorates and celebrates the signing of the U.S. Constitution. Haynes, who also serves as executive director of the Shaffer Law Library, director of online graduate programs, chair of the faculty diversity and inclusion committee, and an assistant professor of law at Albany Law School, previously worked as a corporate law attorney. His clients included AOL, TomTom, D-Link, Bain Capital, Deutsche Bank, Fannie Mae, GE, Intel, Pfizer, Mars, and Samsung. Prior to practicing law, Antony was an assistant professor of computer science at the U.S. Air Force Academy, where he taught courses in programming, developed the academy’s information assurance curriculum, and created the intercollegiate cyber defense exercise. He has extensive experience with a host of software and hardware technologies. Cornell is an assistant professor in the computer science department at Saint Rose. Her main research interests are formal verification of software and cryptographic protocols, cybersecurity, cryptography, automated reasoning, and computational logic. Prior to joining Saint Rose, Cornell was a research intern at the Naval Research Lab in Washington, D.C., where she worked on Cryptographic Protocol Analysis. She assisted in the development the cybersecurity major and the computer science master’s program at Saint Rose and is currently teaching courses in both programs, including computer forensics and a course she created on cybersecurity and cryptography. Cornell has served on the organizing committee of the New York Celebration of Women in Computing and the board of the Consortium for Computing Sciences in Colleges — Northeastern Region. The talk is free and open to the public and will take place in the Carondelet Symposium, Thelma P. Lally School of Education, 1009 Madison Avenue, Albany. Saint Rose launched a new bachelor’s degree in cybersecurity in April 2018.